Dubai, UAE, March 24, 2018: Searching for ways to keep your kids active and entertained this spring holiday? Then look no further than Aventura Parks. 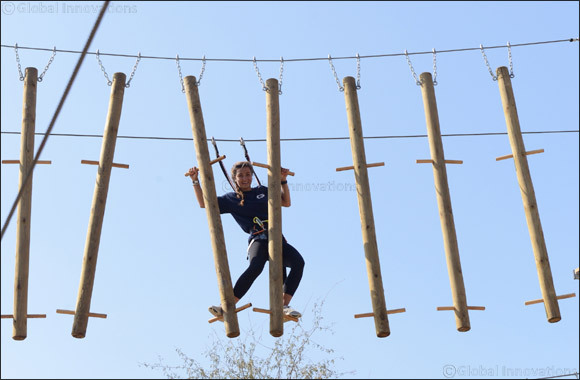 Dubai’s first adventure park is dedicated to giving children and adults the opportunity to experience the great outdoors, zip-lining through the natural Ghaf forest of Mushrif Park and testing mental and physical agility all whilst having fun! This Spring holiday, Aventura is offering zip-liners buy one, get one half price on general admission to Aventura. Entry to the park entitles you to three hours of uninterrupted fun, with a series of zip-line circuits designed for different ages, starting from six years of age. So, whilst the weather is cool and the kids have energy to burn, grab the whole family and experience the ultimate thrill at Aventura. This special buy one, get one half price offer, is available from 22nd March till 7th April.